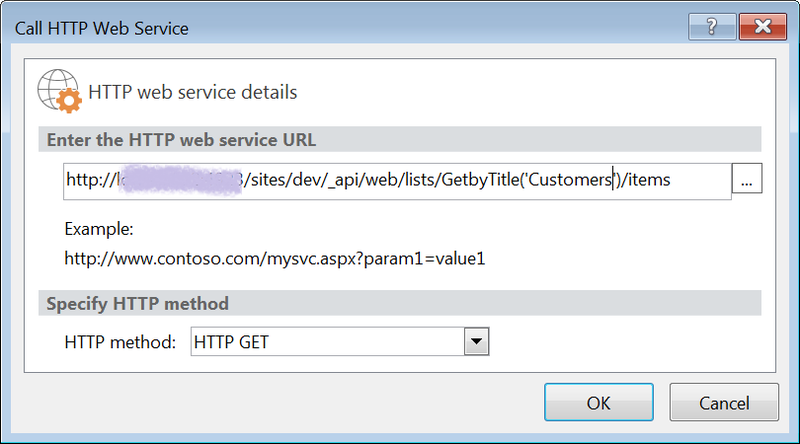 In this post iam going to explain you how a webservice or SharePoint Rest service can be called using a newly introduced action with SharePoint designer 2013. 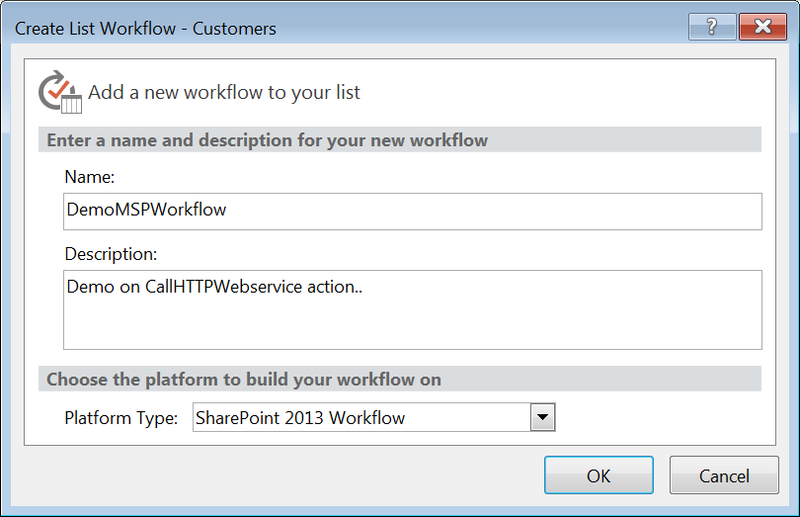 In this example, I am associating the workflow to a list called Customers. The objective of this workflow is, when a new item is created in to this list, the workflow will be triggered and displays its CustomerAddress' in the log. 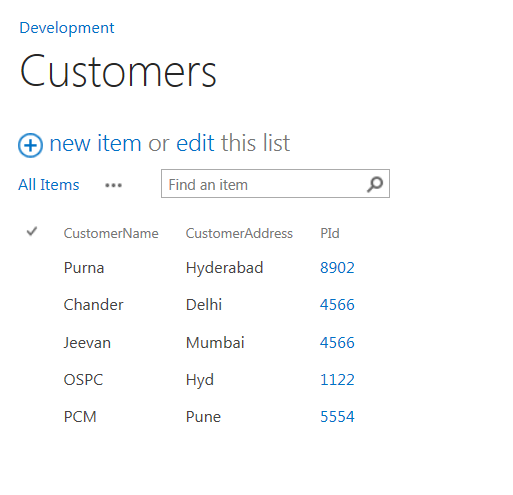 Here the CustomerAddress fields value will be queried using Rest Service of Customers list. Before starting the workflow, have a look on the Rest API of 'Customers' list in your browser , we are going to call this service in our workflow to get the CustomerAddress fields value. If you have any issue in viewing please follow my previous Post. Lets start building the workflow logic. The reason to add these headers is , basically the response of 2013 api is encoded in xml format, to get the response in JSON format we will be adding these headers. 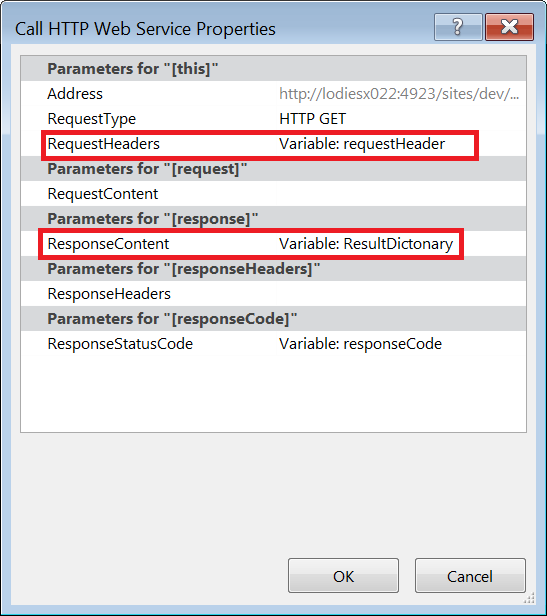 Now set the request header and. Set RequestHeaders attribute with the variable requestHeader. And also create a new variable called 'ResultDictionary' for the ResponseContent attribute like below. Now our result(response of Rest API) is in 'ResultDictionry' variable.We would be parsing this dictionaryvariable using a action to get the required outcome. 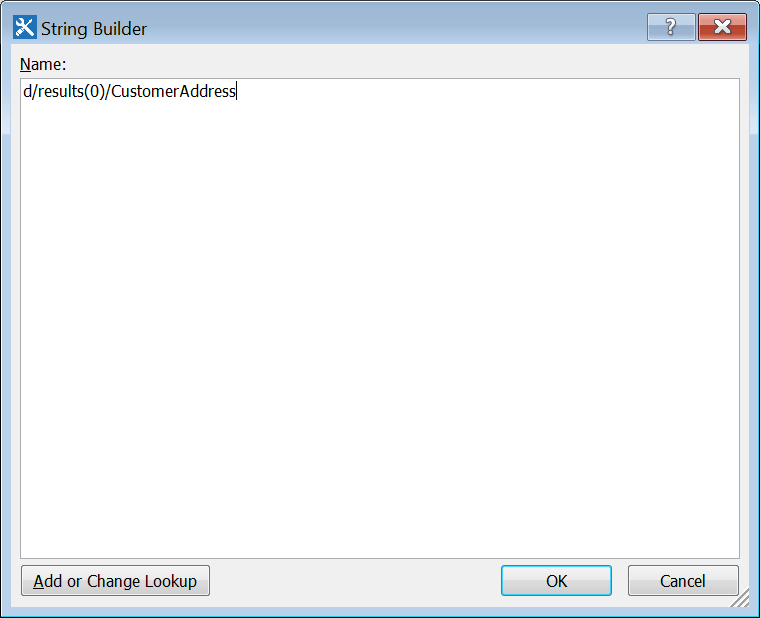 Now select 'ResultDictionary' at dictionary and set the output to a varibale called 'varCustomerAddr'. 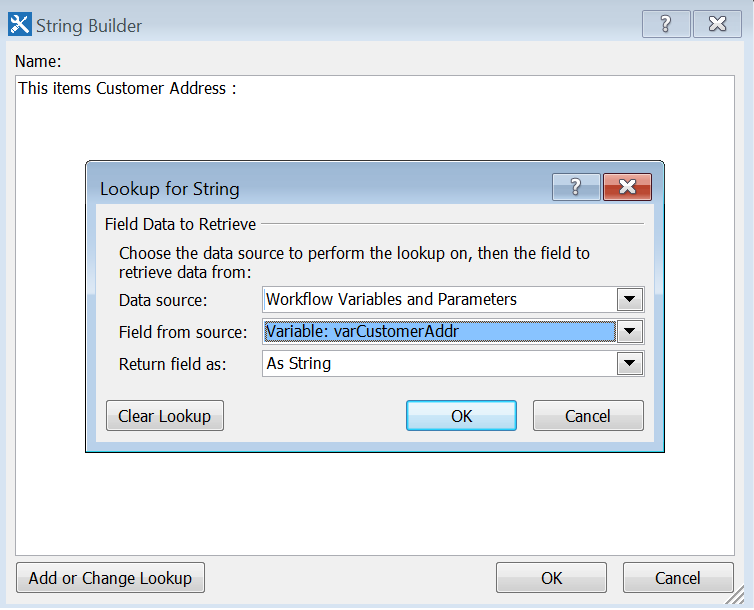 (click on Output to item in the above action and create a new varible called varCustomerAddr type string) . Now Go to Workflow Settings (in ribbon) and set start options like this to start automatically. Save the Workflow and Say Publish. Here we are printing the first item's CustomerAddress in the log by using this parsing logic d/results(0)/CustomerAddress. It's A Great Pleasure reading your Article, learned a lot of new things, we have to keep on updating it Mulesoft certification training Thanks for posting.